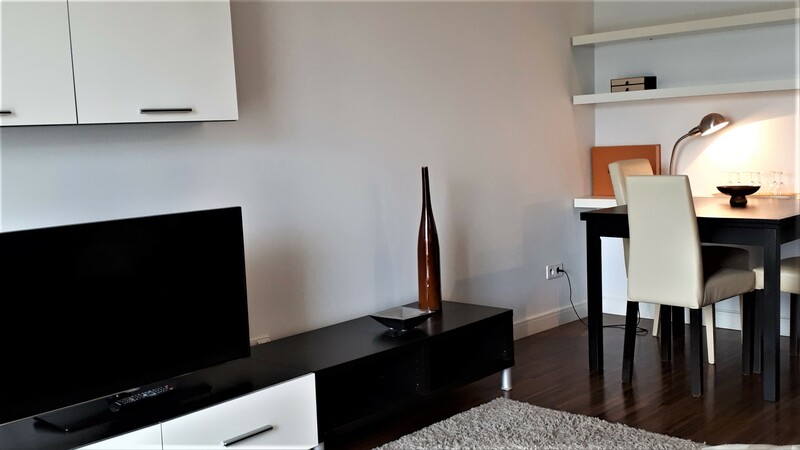 A cozy modern apartment with a beautiful view of the local lake available from mid of May. Apartment is located in the guarded housing estate Marina Mokotów, space 45 sqm, living room 18 sqm with balcony, bedroom 9 sqm, bathroom 5 sqm with separate shower and bathtub, kitchen 10 m2. The building was built in 2005, it consists of the 5 floors. IN THE PRICE: outdoor parking place. Lease minimum 12 months, monthly rent 2,500 PLN (+ 250 PLN for media usage), refundable deposit of 1 month rent. The place is very well connected to the city center Srodmiescie (20 min by bus or train), as well as to Okęcie airport (10 minutes by bus).